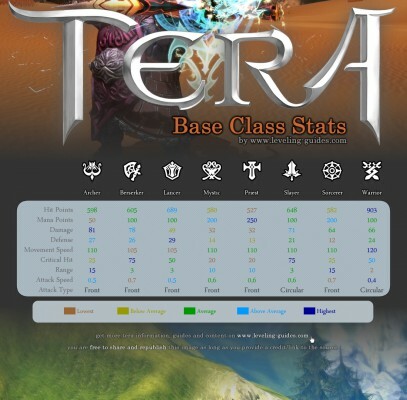 As many players have been looking for base stats for every class, I decided it would be nice to compile all that basic info into one resource. 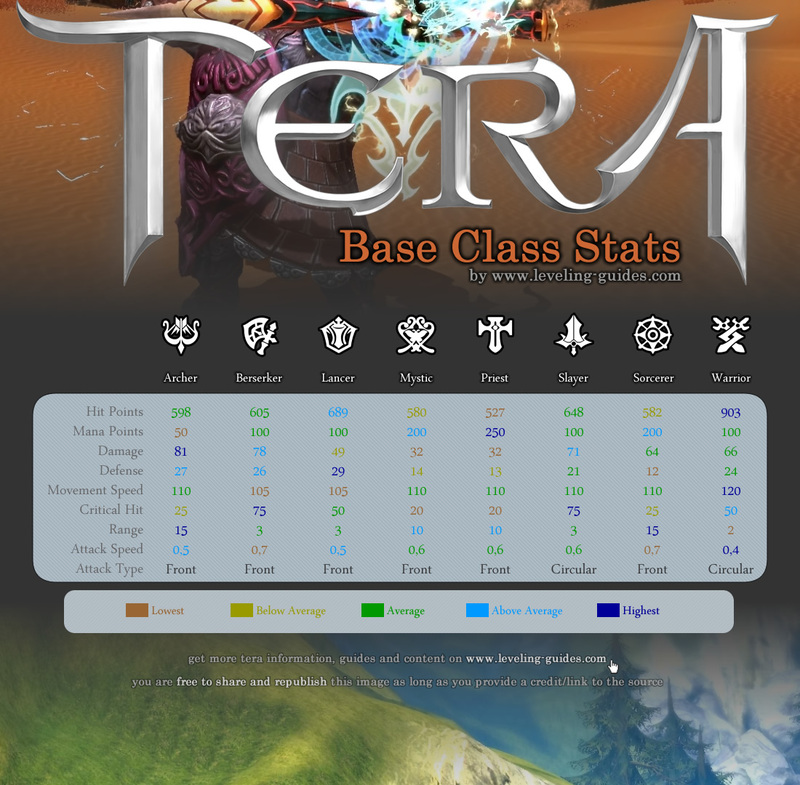 From now on, if you need to quickly figure out which class’ basic attributes are highest or lowest, the following infographic should give you a good overview. It includes every class’ Health Points, Mana Points, Damage, Defense, Movement Speed, Critical Hit, Attack Speed and Range. The stats are color coded so you can more easily see which class has average, below average or above average stats in relation to others. I hope you’ll find it useful. 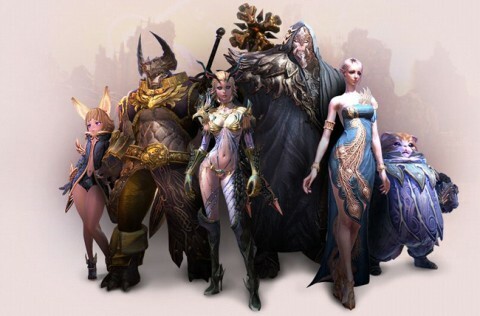 Basic character stats in TERA. Click for a larger view! You’re most welcome to share this image or post it in your guild forums, but please let everyone know where you got it from. And if you have any other info you’d like me to to add to this image, be sure to let me know. Also, do the same in case you spot a mistake or if there were any recent changes.